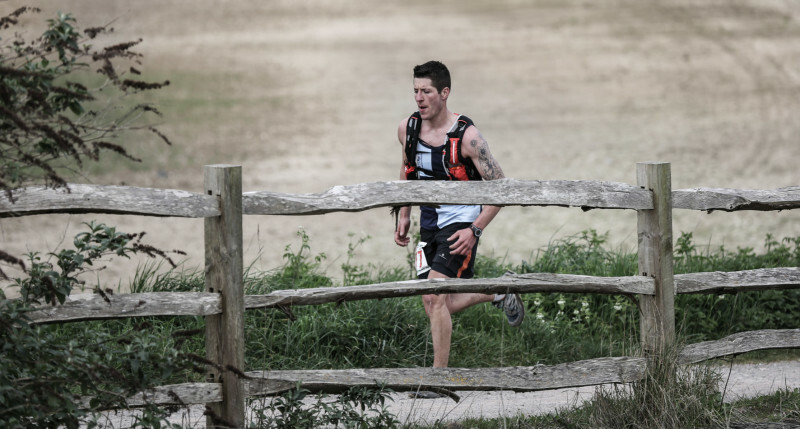 The SDW50 is a 50 mile foot race along the South Downs Way National Trail, beginning in Worthing and finishing in Eastbourne. 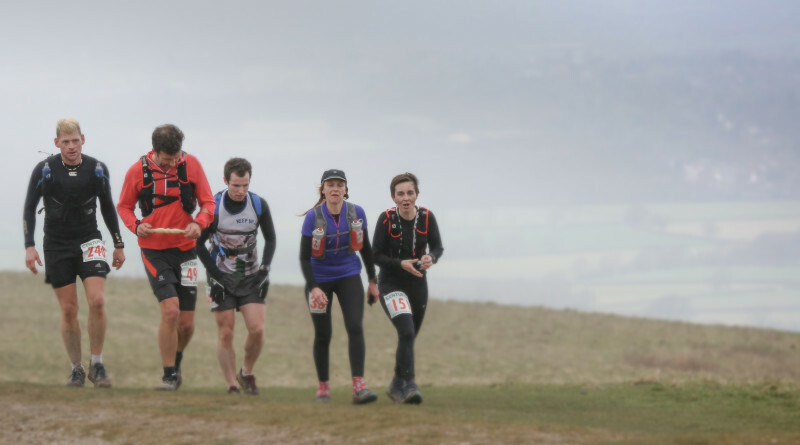 Runners start by negotiating six miles of chalk footpaths and bridleways, climbing up to join the South Downs Way at Chanctonbury Ring. 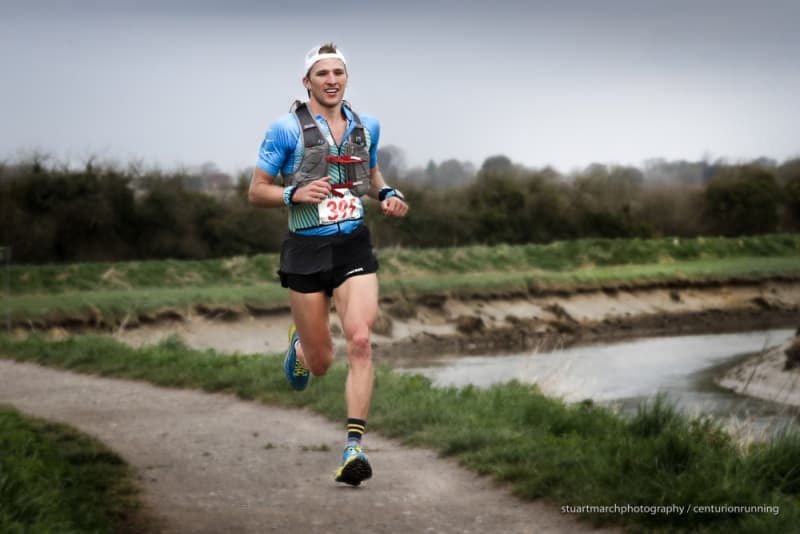 The remainder of the course is identical to the final 44 miles of the SDW100 and remains on the SDW until the final turn off - bringing runners out to finish with a lap of the track at Eastbourne. 7th Annual. 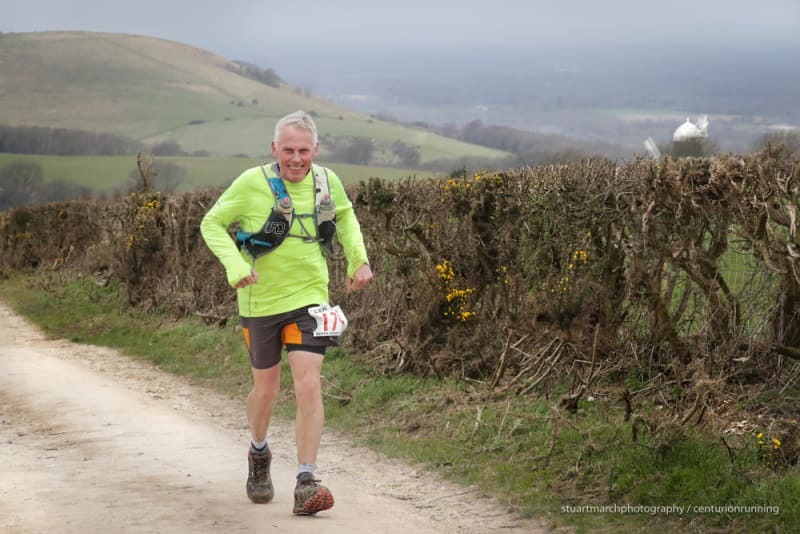 First race in the 2019 50 Mile Grand Slam of four, 50 mile events. The South Downs tower over Southern England affording runners awe inspiring views north across the Weald and the coast/ English Channel. 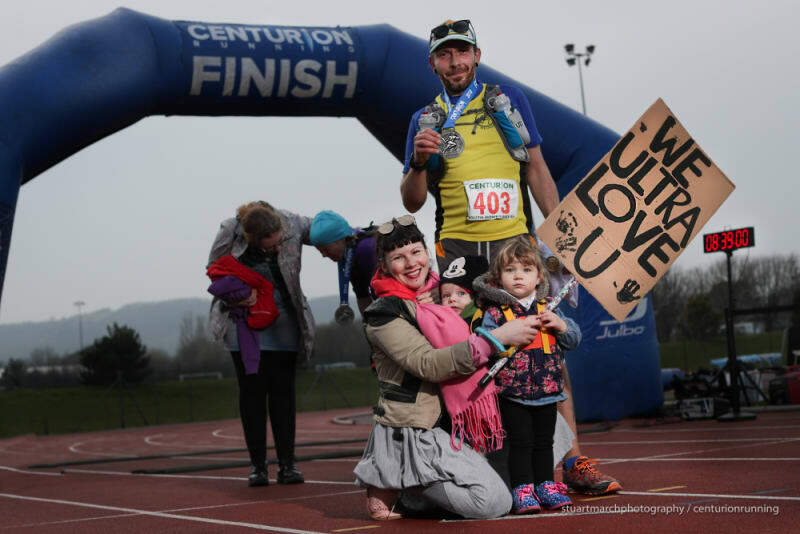 As with all Centurion events, runners will be fully supported by 6 well stocked aid stations, full medical support and a marked course. 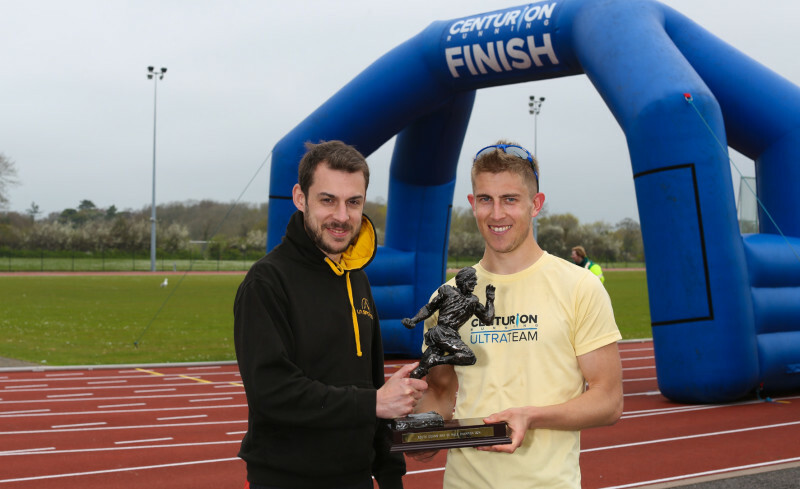 Race held under full UK Athletics Permit granted through the TRA (Permit Number: 2571). 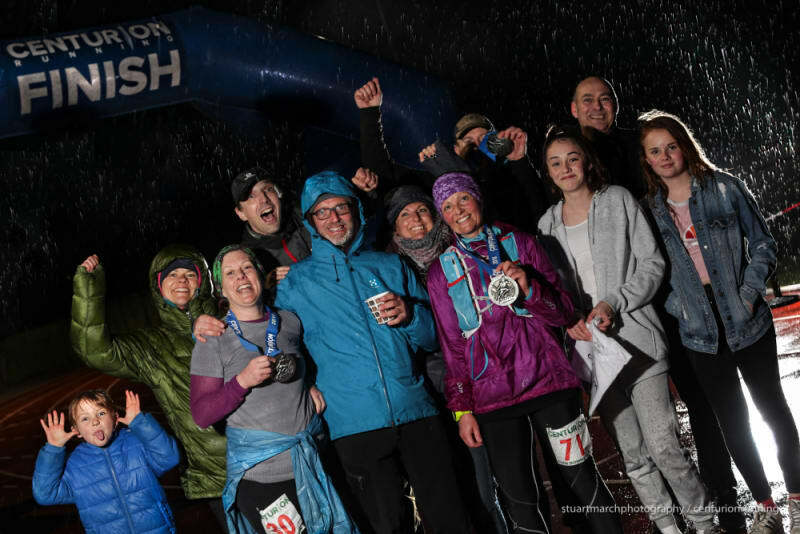 Entries for 2019 will open at 1000 on Saturday June 23rd 2018. There will be 560 places for the event on open registration. Places are open on a first come, first served basis. Entrants must meet the minimum qualification standard below in order to apply. There will be no waiting list for this race. Entry fee is £85. There are no additional card fees. In order to enter you must have completed a minimum of a marathon distance race within the cut off time of that event between 1st January 2015 and race day. As organisers, we reserve the right to refuse anybody entry who does not meet this standard. 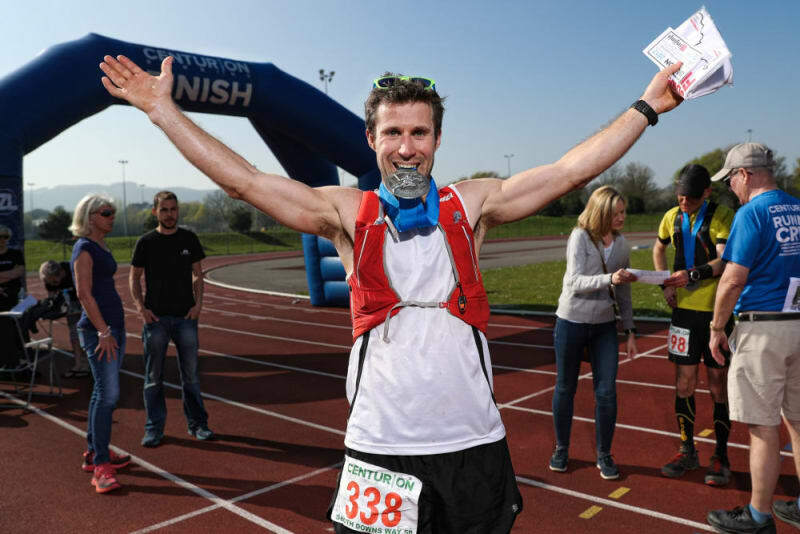 Unqualified runners may enter but will be contacted approximately 8 weeks prior to race to verify qualification plans if they have not updated their online information by this time. Runners must finish the course within a 13 hour time limit. There are additional cut offs at each aid station on route. See the aid station table here for full details. 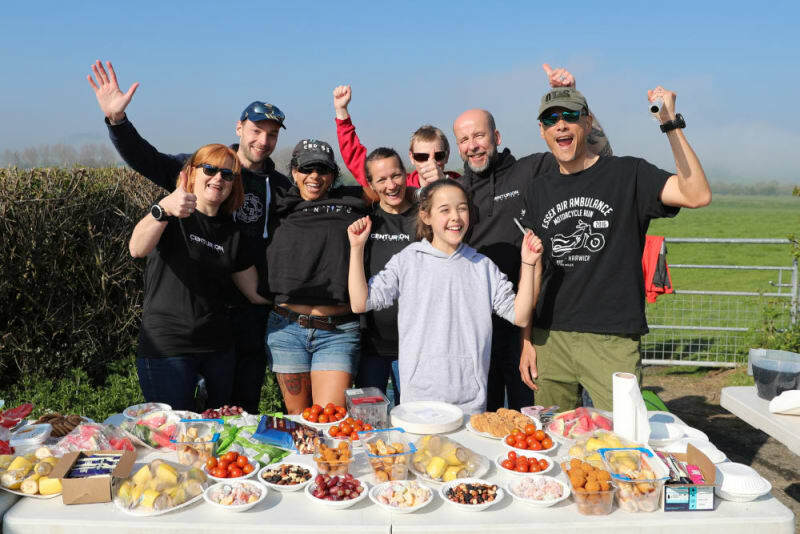 Registration is at Worthing College and the race start is at the adjacent Hillbarn Recreation Ground, Hill Barn Lane, Worthing, West Sussex BN14 9QF. Grid ref: 142050. The race finishes at Eastbourne Sports Club Athletics Track, Cross Levels Way, Eastbourne, BN21 2UF. Runners will enter the track through the gate and complete a lap of the track to finish. Runners will be permitted to run the track section with friends, family and crew accompanying them. 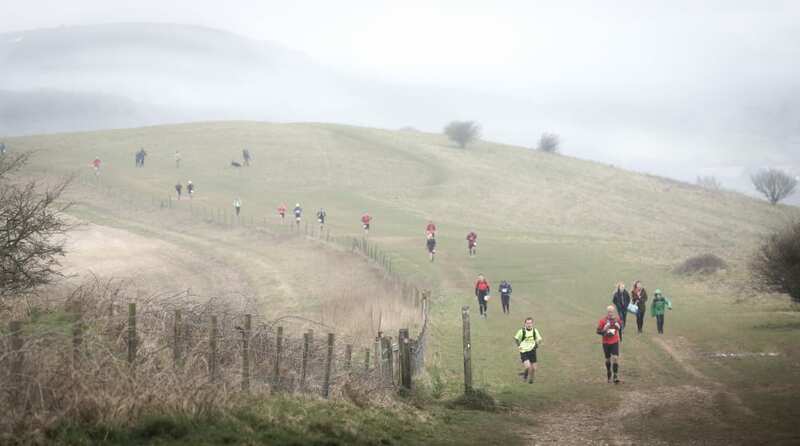 The race route travels from Hillbarn Rec on public footpaths to join the South Downs Way just before Chanctonbury Ring. The route then follows the SDW all the way to Eastbourne, only deviating from the standard course at the points listed on the course page. 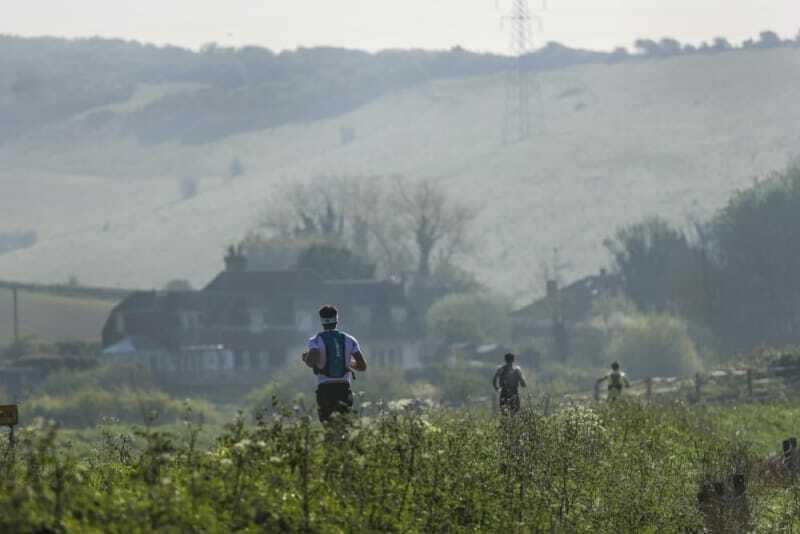 Of particular note is the junction at Alfriston where runners will take the bridleway path over Windover Hill to Jevington and on to Eastbourne, as opposed to the Seven Sisters footpath route. A map of the route and a downloadable GPX file can be found at the bottom of this page. There is 5700 feet of climb in the race. FINISHER Medal & T-Shirt to Finishers only. Additional prizes will be awarded to 1st, 2nd and 3rd place Male and Female and all Vet Categories: MV40, MV50, MV60, MV70, FV40, FV50, FV60, FV70. 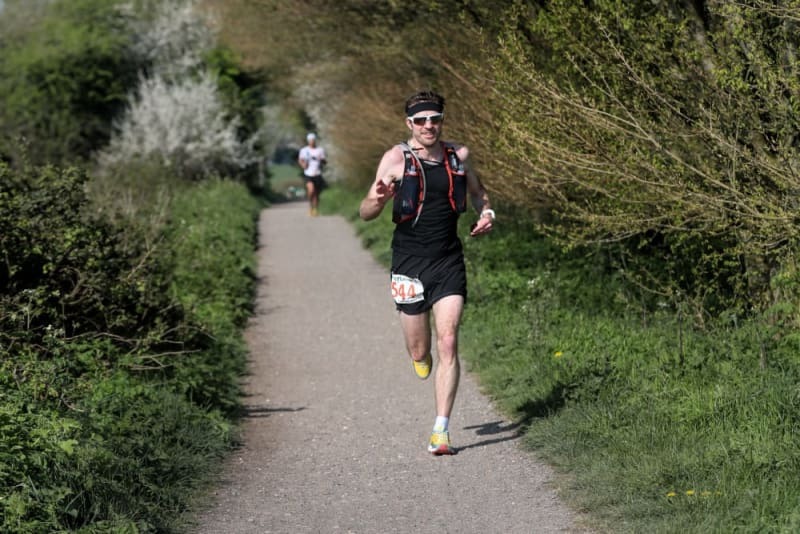 There will be 7 aid stations including the finish along the length of the course. 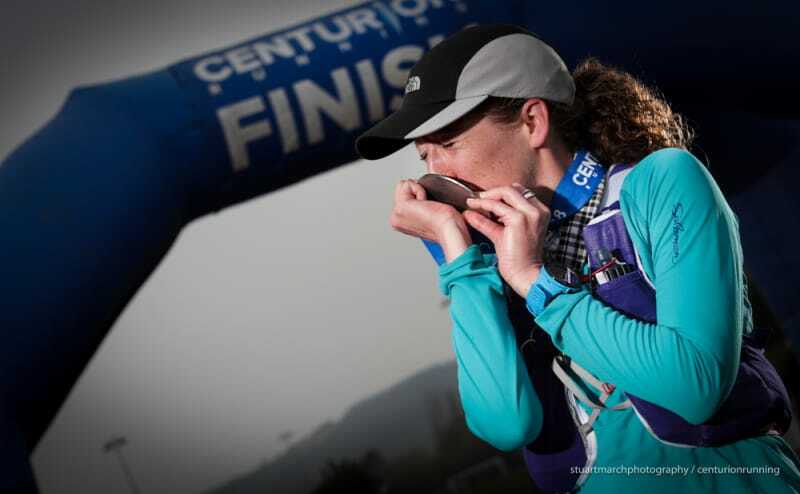 A full list of the aid stations and all opening closing times can be found here. All aid stations carry as a minimum: water, coke, chocolate, sweets, sandwiches, nuts, lots of fruit, Gu gels, wraps, sandwiches and other sweet and savory snacks. Hot drinks are available at Alfriston, Jevington and the Finish. Hot food at the finish only. Finish Line Bags can be deposited at registration and should be clearly labelled with runners name and bib number. These will be transported to the finish for you. 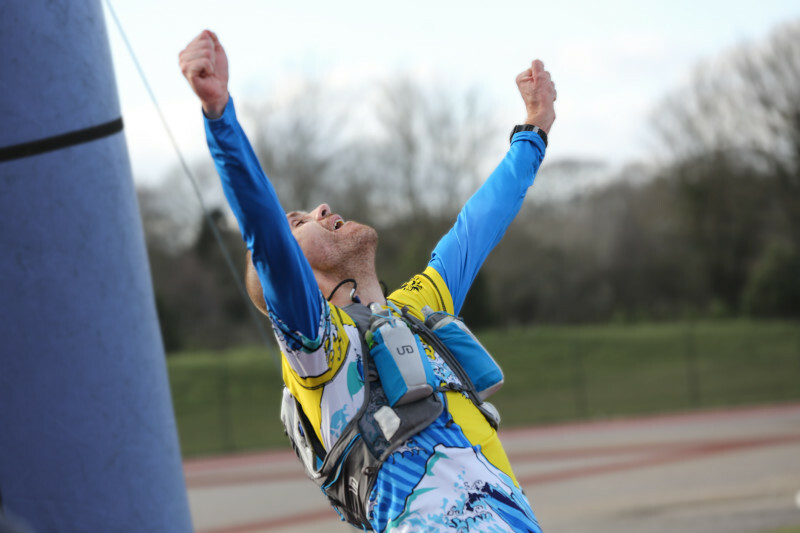 Your finish line bag may be a maximum of 50 litres in size. NO suitcases will be permitted. 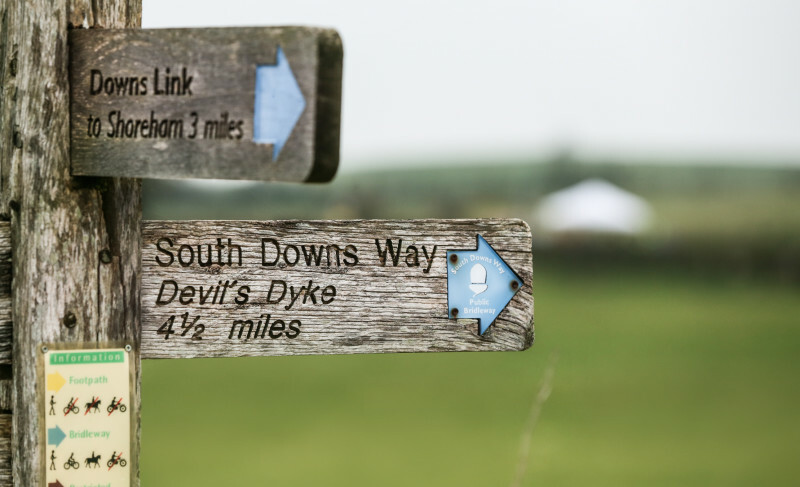 The course is marked by South Downs Way marker posts which come in different forms but always displaying the acorn which is the key symbol and guide on this route as with all National Trails. In addition to the fixed markers as above, the course will also be marked with red & white tape and Centurion marker arrows. There are a number of road crossings to negotiate, some of them are extremely busy and will NOT be marshalled. It is the responsibility of the runner to negotiate all road crossings safely. It is ultimately the runners responsibility to navigate the course successfully, with or without course markings. 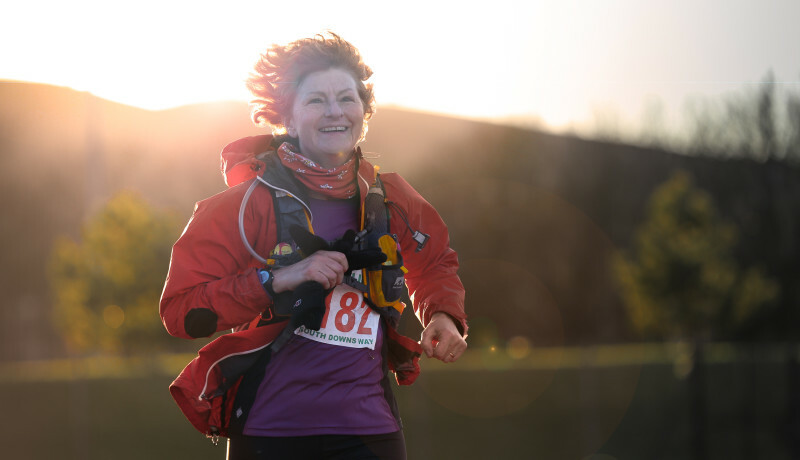 We strongly recommend that you take the time to recce the route before race day & carrying a map and compass are highly recommended for the event in case of an emergency. 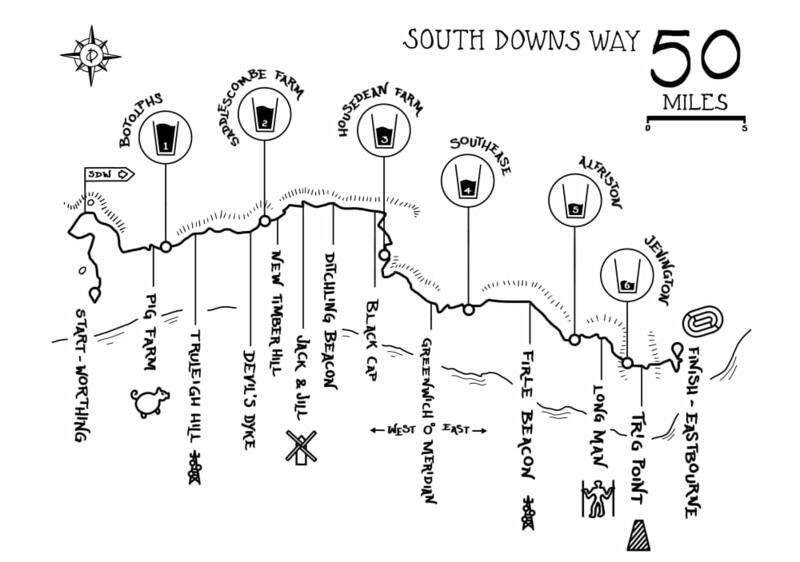 The Harveys South Downs Way map available at a discounted rate here, is an excellent guide. No pacers are permitted at any point on the route. The exception to this is the finishing lap of the track where a runner may be joined by as many friends and family as he or she wishes. Runners are allowed to have a crew but should note that the number of places a crew can meet you on course are limited. This is due to the size of parking facilities on and around the downs, as well as to reduce any impact on race day to local residents and users. The support you receive at the check points will be enough for any runner, a crew is not essential. 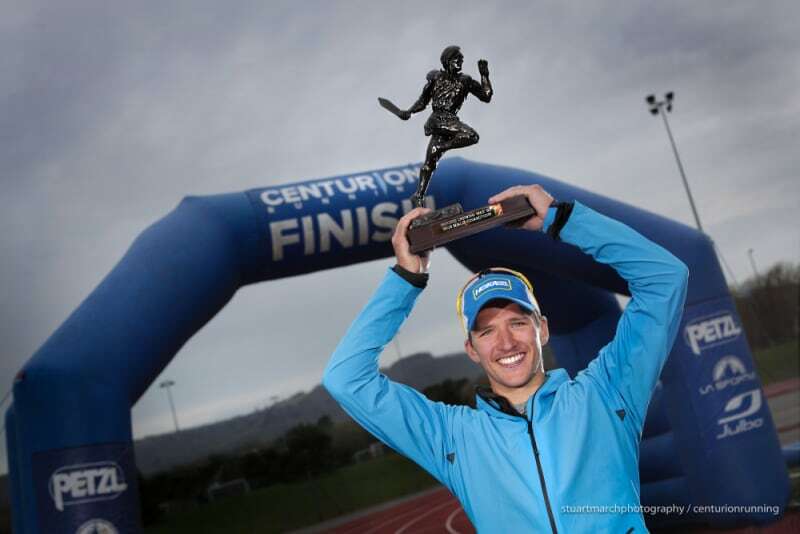 The points at which a runner may be crewed are listed on the crew page here. Crews will not be permitted to crew for their runner at any point other than those listed. Crews must adhere to the rules for crews contained within the infopacks. There will be a dedicated team of race medics available throughout the duration of the weekend including static first aid teams, rapid response cars and race ambulances. If you suffer an injury or accident that warrants direct medical attention, the medics will be on hand to provide you with exactly that. Contact numbers and full details of what to do in an emergency will be given to you in the pre race information packs and again at race registration. Due to the nature of the course ie. some remote and far from roads, the medics may take some time to reach you, or potentially be out of contact tending to other runners. In those instances you should contact the emergency services on 999. Full instructions on what to do in an emergency can be found in the infopacks. 85% of the course is on trail, therefore trail shoes are advised. There are sections of trail which can become very muddy in wet conditions. The South Downs are formed of chalk and are composed of significant sections of exposed and slippery chalk bed and rocks. These sections must be negotiated carefully in both the dry and the wet. The ridge is very exposed and in wind and rain runners can become cold quickly. Visibility can also be extremely poor under cloud cover. It is essential to carry the items below in lieu of these potential outcomes. 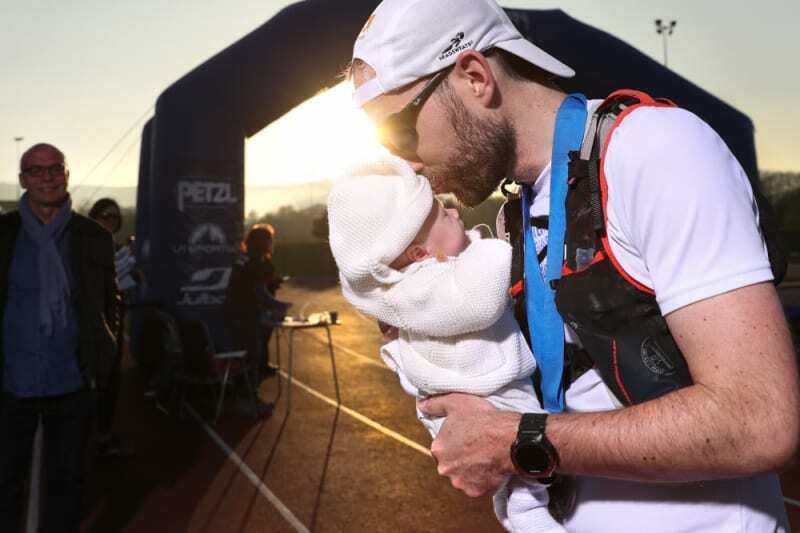 There will be kit checks prior to the race as well as potientially during and at the finish. Runners must carry the following mandatory equipment at all times. A time penalty of one hour will be imposed for any item found to be missing at any point on course. Please refer to this page for explanations on the inclusion of the below items. Long sleeved base layer or fleece top - This must be carried separately from the start and kept dry, for use only in an emergency. Starting in 2 layers is not a substitute.